Washington (AFP) - Whistleblower Chelsea Manning, jailed for leaking classified information, is seeking election to the US Senate in the state of Maryland, a document seen on Saturday says. Manning has now gone from prison to US senatorial candidate in less than a year during which she often made headlines, as the fame and infamy she gained by leaking a trove of classified documents follows her after release. The Federal Election Commission document, filed Thursday, lists Chelsea Elizabeth Manning of North Bethesda, Maryland, as a Democratic candidate for the Senate. Manning, now 30, was an army intelligence analyst sentenced to 35 years in prison in 2013 for leaking more than 700,000 classified documents related to the wars in Iraq and Afghanistan. The revelations by Manning, who is transgender and was then known as Bradley Manning, exposed covered-up misdeeds and possible crimes by US troops and allies. Her actions made Manning a hero to anti-war and anti-secrecy activists but US establishment figures branded her a traitor. Then-president Barack Obama commuted Manning's sentence, leading to her release in May. During her incarceration Manning battled for, and won, the right to start hormone treatment. On Twitter she identifies herself as a "trans woman," and carries the slogan: "Make powerful people angry." The Democratic Senate incumbent is Ben Cardin, who was first elected in 2006 and is the senior Democrat on the Senate Foreign Relations Committee. In elections last year, transgender candidate Danika Roem was elected to the Virginia state House of Delegates, becoming the first openly transgender lawmaker in the United States. US President Donald Trump has labeled Manning a traitor. He also tried to bar transgender personnel from the military but federal courts ruled against that ban. Following her release, Harvard University offered Manning a Kennedy School visiting fellowship along with several other people, including former White House Press Secretary Sean Spicer and Hillary Clinton campaign manager Robby Mook. But the offer to Manning sparked sharp criticism -- including from CIA director Mike Pompeo, who pulled out of a Harvard forum, and former acting director Mike Morrell, who quit the university in protest -- and it was later rescinded. 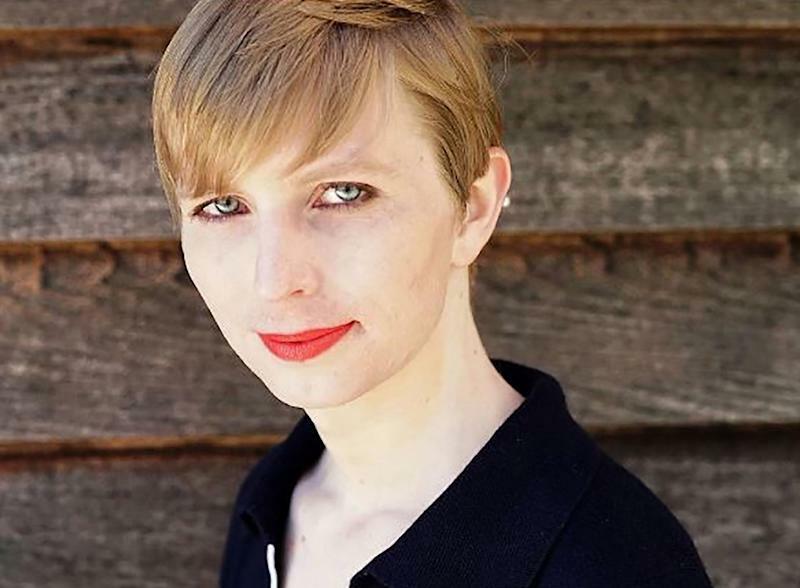 Manning wrote on Twitter in September that she was barred from entering Canada due to criminal convictions in the United States and posted an image of a document. The document said Manning had committed a crime outside the country that "would equate to an indictable offense, namely treason" in Canada and which carries a maximum sentence of 14 years imprisonment. Manning made waves in a different way when she posed in a red one-piece bathing suit for Vogue's September issue, eliciting both supportive and critical comments. Speaking at the New Yorker Festival in October, Manning said she fears for her safety but does not plan to lay low. "I've had people telling me, 'Maybe you shouldn't be so vocal.' And that's the reason why I'm out here," she said, explaining that she "can't imagine doing anything else right now." "I had this image of going (back) to a life that I had before," she said. "And that's not possible. And I realize now that that's OK."